HOUSTON, Texas, September 8, 2010 (ENS) – No single factor but “a sequence of failures involving a number of different parties” caused the explosion and fire aboard the Deepwater Horizon oil rig leased by BP in the Gulf of Mexico, the company said in a new report issued today. The explosion 48 miles off the coast of Louisiana killed 11 crewmembers, injured 17 others, and caused the largest accidental marine oil spill in the history of the petroleum industry. On July 15, the wellhead was finally capped after 87 days and the release of 4.9 million barrels of crude oil, which damaged the marine environment and wildlife habitats as well as the gulf’s fishing and tourism industries. 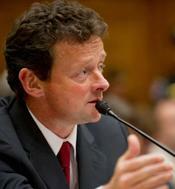 The BP report is based on a four-month investigation led by Mark Bly, BP’s head of safety and operations. It was conducted by a team of 50 technical and other specialists drawn both from within and outside the company. “The investigation report provides critical new information on the causes of this terrible accident. It is evident that a series of complex events, rather than a single mistake or failure, led to the tragedy,” said BP’s outgoing chief executive Tony Hayward, who commissioned the report. 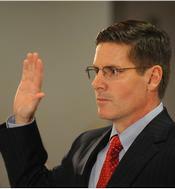 “Multiple parties, including BP, Halliburton and Transocean, were involved,” Hayward said. 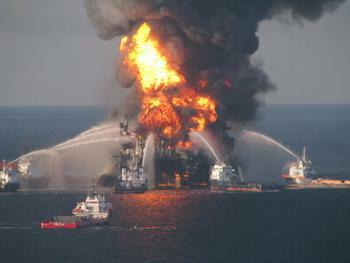 BP leased the Deepwater Horizon from Transocean, which had crewmembers on the rig at the time of the explosion. BP had finished drilling its test well a mile below the surface of the gulf and 18,000 feet below the sea floor at the time of the explosion. Transocean, responding to the report, blamed “BP’s fatally flawed well design,” an accusation Hayward rejected. A Halliburton crew had cemented in the well, but had not completed the seal when the explosion occurred. Halliburton said today that there were omissions and inaccuracies in the BP report and is confident the work it completed on the well met BP’s specifications. “Contractors do not specify well design or make decisions regarding testing procedures as that responsibility lies with the well owner,” Halliburton said. In its report BP says its use of six centralizers during the cementing, instead of the 21 recommended by Halliburton, probably did not contribute to the failure of the cement job. If the casing is cemented off-center, an imperfect seal could allow oil and gas to escape. Although the 15 additional centralizers were delivered to the Deepwater Horizon, the company’s report says the BP team responsible for making this decision “erroneously believed they had received the wrong centralizers.” They were concerned that the centralizers could fail and cause the casing to interfere with the functioning of the blow-out preventer. “To put it simply, there was a bad cement job and a failure of the shoe track barrier at the bottom of the well, which let hydrocarbons from the reservoir into the production casing,” said Hayward. Further, “Over a 40-minute period, the Transocean rig crew failed to recognise and act on the influx of hydrocarbons into the well until the hydrocarbons were in the riser and rapidly flowing to the surface,” the report states. After the well-flow reached the rig it was routed to a mud-gas separator, causing gas to be vented directly on to the rig rather than being diverted overboard, the report found. The flow of gas into the engine rooms through the ventilation system created a potential for ignition which the rig’s fire and gas system did not prevent. Even after explosion and fire had disabled its crew-operated controls, the rig’s blow-out preventer on the sea-bed should have activated automatically to seal the well. But it failed to operate, probably because critical components were not working, the BP report states. The failed blow-out preventer was last week raised from the sea floor and will become evidence in other ongoing investigations of the incident. “From the assurances given by the oil industry that this type of accident wouldn’t happen and could be contained if it did, to the overly-cozy relationships established between the oil industry and regulators, the series of events leading to this spill stretches back decades and the blame spans across the entire oil industry,” Markey said. The House Committee on Energy and Commerce has conducted a number of hearings and continues to investigate the disaster. In the Senate the Environment and Public Works Committee has investigated the use of dispersants, damages to water and wildlife, and economic impacts. The Senate Subcommittee on Federal Financial Management has conducted hearings on ensuring a financially responsible recovery from the spill. In addition, the Deepwater Horizon Joint Investigation by the U.S. Coast Guard and Bureau of Ocean Energy Management, Regulation and Enforcement has been taking testimony for months. The Joint Investigation has commissioned a scientific and technical analysis of the Deepwater Horizon blow-out preventer stack. The analysis will be performed by an independent third party that will be vetted through the Department of the Interior’s competitive contracting process. The Joint Investigation will determine the objectives, parameters, and protocol for the testing with input from all agencies and the “parties in interest” to the investigation. On May 11 the Obama administration requested the National Academy of Engineering to conduct an independent technical investigation to determine the root causes of the disaster so that corrective steps can be taken to address the mechanical failures underlying the accident. On May 22 President Barack Obama issued an Executive Order establishing the bipartisan National Commission on the BP Deepwater Horizon Oil Spill and Offshore Drilling, with former Florida Governor and Senator Bob Graham and former U.S. EPA Administrator William Reilly serving as co-chairs. The purpose of the commission is to “consider the root causes of the disaster and offer options on safety and environmental precautions,” Obama said. 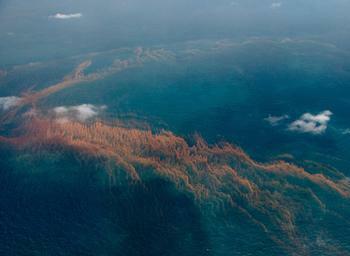 On June 1 U.S. Attorney General Eric Holder announced that he has opened an investigation of the oil spill. The Justice Department is interviewing witnesses as part of a criminal and civil investigation. Besides BP, the investigation could apply to other companies involved in the drilling of the damaged well. The BP investigation team has proposed 25 recommendations designed to prevent a recurrence of such an accident. The recommendations are directed at strengthening assurance on blow-out preventers, well control, pressure-testing for well integrity, emergency systems, cement testing, rig audit and verification, and personnel competence. More than 220 lawsuits have been filed against BP in connection with the incident. In addition, the Obama administration said it sent a sixth bill, for $128.5 million, to BP and others for costs associated with the oil spill. The first five bills, totaling $389.9 million, have been paid in full by BP, the government said. The incident has already cost BP about $8 billion, in addition to a $20 billion victims’ compensation fund the company has established but not completely funded. 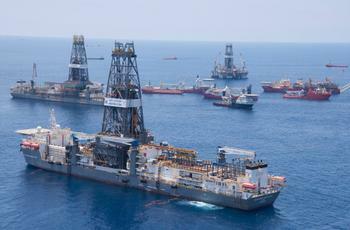 And the Deepwater Horizon well is not dead yet. This week work is continuing on a relief well could allow mud and cement to be pumped in from the bottom of the well by September 20. That is expected to seal the well that has caused so much pain and set off a multi-billion dollar Gulf cleanup and restoration effort. Click here to read the complete 192-page BP report.